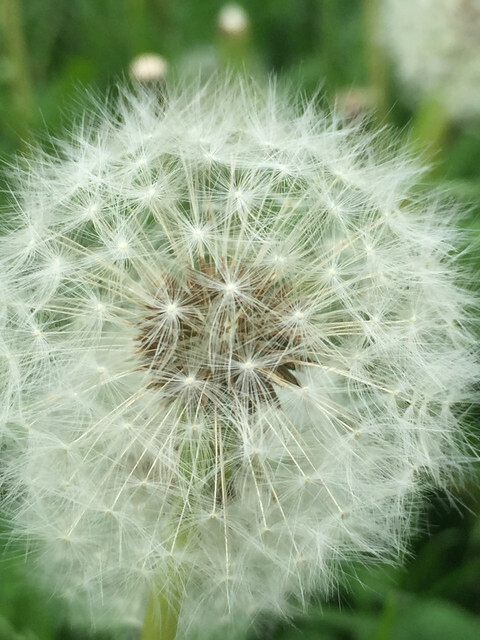 We hate them but children all over the world love dandelions, especially when they go to seed. My granddaughter is no exception. In an open area next to my daughter’s house is a grassy lot that hasn’t been mowed in awhile. It is a haven for dandelions. 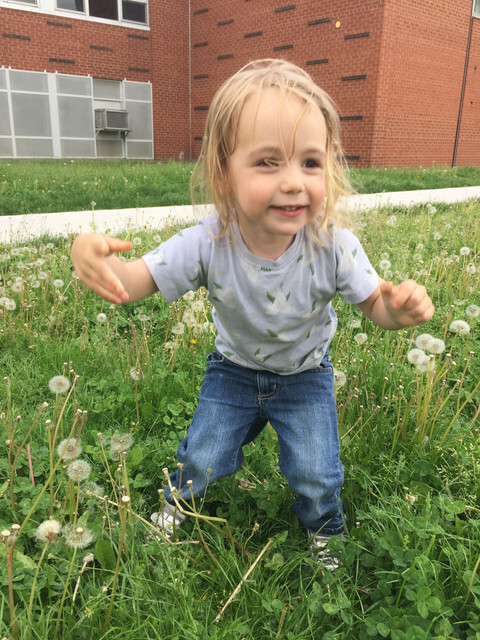 Last Saturday my granddaughter and I went for a walk or should I say my granddaughter took me for a walk and she led me straight onto this field of joy. 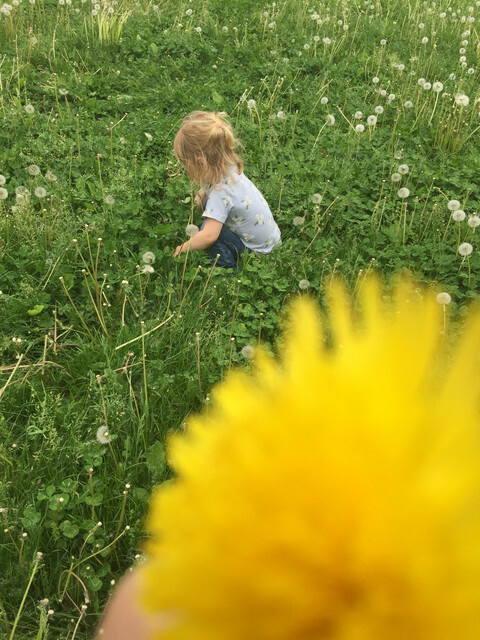 This entry was posted in Family, Flowers, Hamilton, Happiness File, Memories, Photography and tagged children, dandelions, granddaughter, Hamilton, happiness file, photography by Mama Cormier. Bookmark the permalink. Thanks Derrick. It certainly was a fun afternoon. We both literally rolled around in the grass. Well I actually fell on my bottom but I felt like a kid again. So true. I have to stay in shape to keep up with her.